CHO Jin-woong and SON Hyun-ju are teaming up once more on the period film The Clowns (working title), which began filming on March 31. 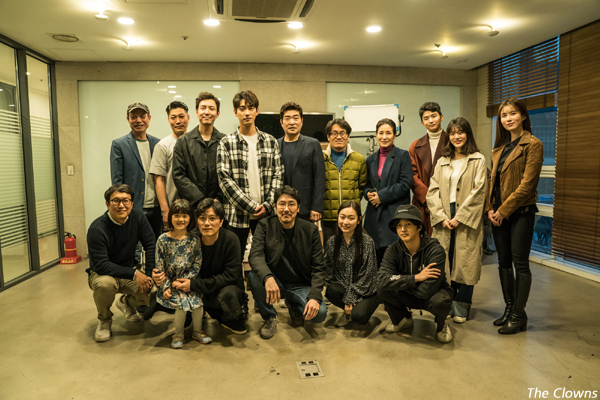 Also featuring PARK Hee-soon, GO Chang-seok, KIM Seul-ki, YOON Bak and KIM Min-suk, the film is being directed by KIM Joo-ho, who last helmed the hit The Grand Heist in 2012. The Clowns will focus on a group of individuals who spread the fake news in order to manipulate the public consciousness during the Joseon Dynasty. CHO and SON previously featured in the hit TV drama Signal as well as the 2016 thriller The Hunt. CHO will first be seen in LEE Hae-young’s upcoming Drug War (2014) remake, Believer (working title) which is currently in post-production. SON was last seen in ORDINARY PERSON (2017). PARK Hee-soon featured in V.I.P. (2017) last year, while GO Chang-seok is currently on screens in the romantic drama Be With You. KIM Seul-ki previously appeared in RUN OFF (2016) and KIM Min-suk was recently seen in A Special Lady (2017). Meanwhile, the film will also feature the big screen debut of young star YOON Bak, who is known for TV series such as What Happens to My Family? and Radio Romance. In addition to The Grand Heist, director KIM has also worked on the scripts for Secret Reunion (2010) and Chronicle of a Blood Merchant (2015). The Clowns is being financed and distributed by Warner Bros. Korea, who were behind KIM Jee-woon’s The Age of Shadows (2016) as well as his upcoming Jinroh: The Wolf Brigade remake, Inrang (Korean title).